You can increase positive perception among consumers and business owners when you’re identified as a member of the chamber of commerce. As a new member of the chamber of commerce, you will be in our digital newsletter, on the chamber’s interactive website, on chamber social media like Facebook and Twitter and have the opportunity to be highlighted in other chamber publications. You also can grow your business by advertising with the chamber and sponsoring events. The chamber can also promote your grand opening/ribbon-cutting ceremony and assist with any public relations efforts. Attend Chamber events and programs. Every day the chamber receives calls from individuals and businesses looking for potential vendors and are referred to member businesses, and, chamber members typically recommend chamber members. The Chamber offers health insurance coverage review and guidance through Solid Benefits Group and Advent Benefit Consultants. Mary-Ellen and Ryan are happy to come to you, review your current plans and make recommendations that can help you save thousands of dollars with no obligations. Solid Benefits and Advents Benefits Consultants are North Quabbin Chamber members. 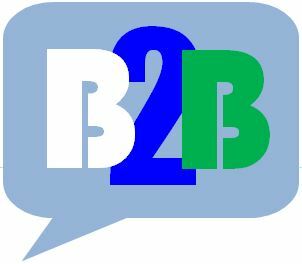 Our B2B events, events help you connect with other business owners and organizations. Limited to members only, these events can range from a purely social gathering to brainstorming sessions on how to improve your immediate or greater marketing area. We help you coordinate the event at your store or office, promote it the Chamber’s calendar, targeted social media and send out an invitation campaign to our members only digital list. Our Workshops are another opportunity for members to get valuable business tips and education, network and develop business relationships for generating referrals. 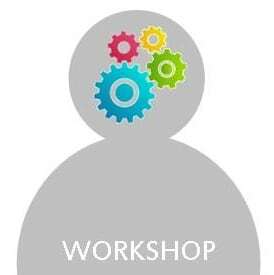 The Workshops feature informative speakers on topics that can help your business such as social media marketing, accounting, tax law, workforce training, grants and loans, and business plan creation. Join us for this monthly event at a rotating member location. If you have a suggestion for a workshop topic, call us and we’ll get it on the schedule! All Chamber members are listed on our online, searchable business directory via our interactive website. Your business events can be posted in our weekly digital newsletters. A variety of low-cost advertising/promotional opportunities are available in print, online and radio. Ribbon Cutting Ceremonies for your Grand Opening, new location, change of ownership and significant anniversary events. The Chamber publicizes, helps coordinate and attends your ceremony. Press releases and online invitation campaigns are included. Inclusion in our upcoming digital guidebook available as a mobile app for smartphones and tablets. Participation in the Chamber’s Gift Certificate Program ensures that shoppers buy local. A weekly e-newsletter that reaches 19,000 and growing. The Chamber staff can assist you in making the right contacts to get the information you need from local, regional, state and federal governments. We provide access to valuable demographic data that can help your new or existing business achieve success in marketing and product/services design. The Chamber holds more data regarding the eleven town North Quabbin region than any other entity; call us first with your questions. We maintain close contact with the area’s elected officials including Boards of Selectmen, building and health inspectors and State and US Representatives and Senators. The Chamber meets regularly with other Chamber heads from around the greater region to discuss major issues affecting the business community and tourism and to participate in formulating action plans to address them. The Chamber regularly participates in programs administered by our local Community Colleges and state and regional agencies to help develop and implement practical methods to train and prepare tomorrow’s workforce. We also help you tap in to services and grants offered by several of these groups and arrange instructional meetings and seminars designed to help you access workforce training funds for your own business. Enjoy free referrals to your business. The Chamber receives phone calls, emails and in-person requests from the public all the time asking for recommendations. We refer them only to Chamber members. The Chamber of Commerce plays a strong role in economic development throughout the region. We regularly interact, coordinate with and submit project proposals to many local, state and federal agencies including but not limited to the Massachusetts Office of Business Development, Massachusetts Office of Travel and Tourism, Mass DOT, Federal DOT, multiple EDIC’s, FRCOG, MRPC, FCCDC, FHREB and many more. The Chamber holds a seat on many local and state boards including the Franklin Regional County of Governments and the Athol and Orange Economic Development Industrial Corporations among others. The creation of Eco-nomic Target and Opportunity Areas, TIFF programming and Workforce Development Training Funds are all processes that the Chamber participates in. We’re here to help the region’s businesses grow and succeed by offering high value services like networking, marketing, strategic economic planning and tourism development.